I like this method for a few reasons. As with anything cooked sous vide, you have exact temperature control, which means the dogs are never overcooked. 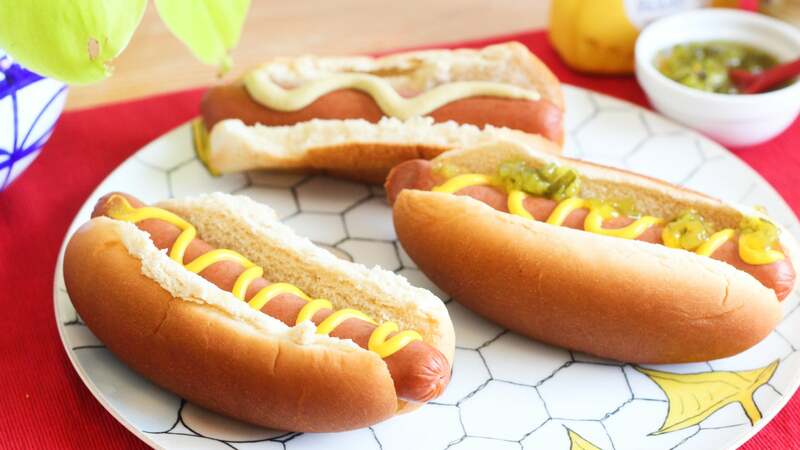 But it also means you can leave the dogs in the bath, keeping them warm for many hours, letting your guests grab hot and juicy dogs as they wish, rather than having to time their hunger so it coincides with your grilling. 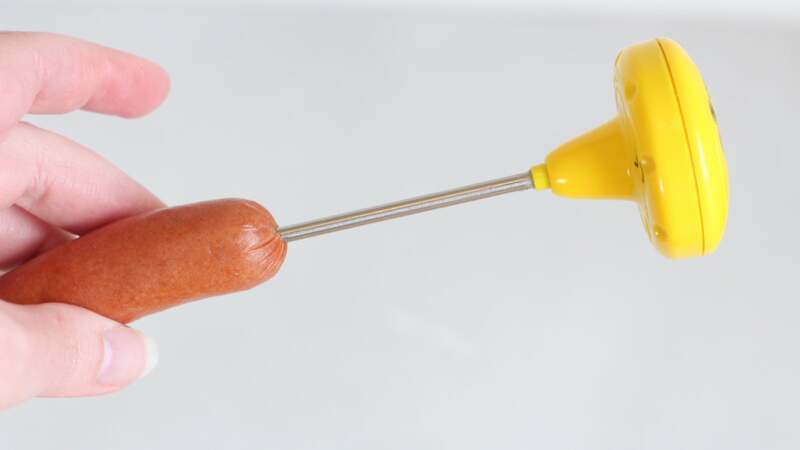 Though you can't hold them indefinitely, the internal structure of a hot dog is very different form that of a steak, so holding them at a hot temperature for the duration of a cookout isn't going to do any textural damage. The easiest protein at your barbecue just got even easier, is what I'm saying. Add everything to a 4L resealable freezer bag, and note how off-putting a bag of hot dogs truly is. 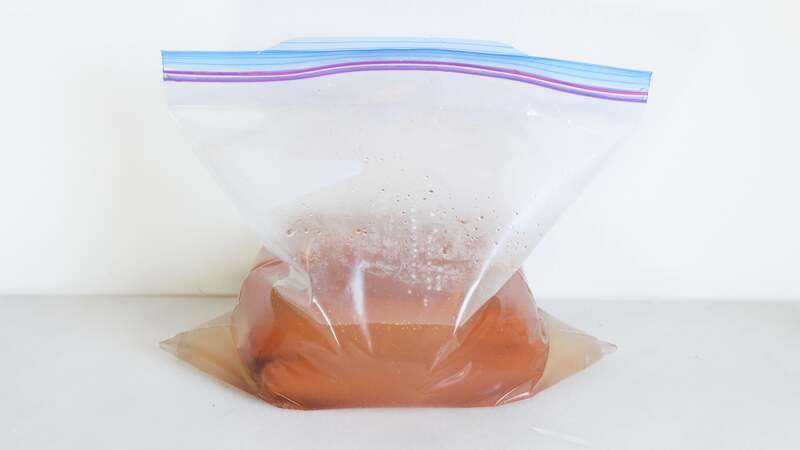 Put the bag in a sous-vide bath set to 68C which, according to sausage experts Michael Ruhlman and Brian Polcyn, is the perfect tender temperature. Let the hot dogs hang out for at least 45 minutes which, according to my scientific observations, is how long it takes for the dogs to reach that tender temperature. 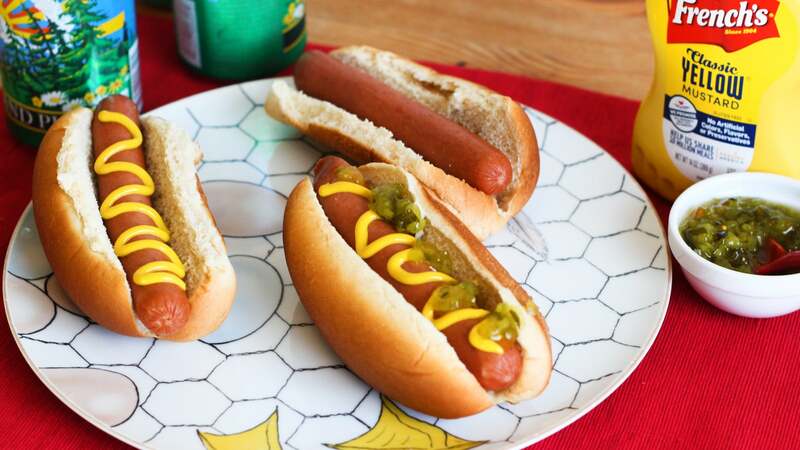 These plump, extra flavourful franks with the perfect amount of snap are now ready to be consumed. Remove them from the water with tongs as they are requested, nestle them in some steamed buns, and let your guest dress them as they please. If you really want a char, throw them on the grill for just a moment and let the flames do their thing. Once your hot dog bag is depleted, throw some more dogs in; the water will only improve as the evening progresses. Perhaps it will get so good, you'll be able to sell it to a bunch of dummies at a music festival. It's nice to have projects. This is part of Will It Sous Vide? the column where I usually make whatever I want with my immersion circulator.